Food allergy is very common, but often not recognised. At least 10% of children have some sort of food problem. If you or your child has on-going symptoms, including “sick, tired and grumpy” – then get a paediatric assessment for food allergy / food intolerance. 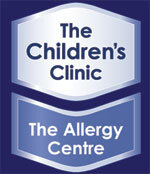 The Childrens Clinic, Christchurch can help you with diagnosis and management.